Thank you to the coaches, parents and players who have played and participated in our programs. 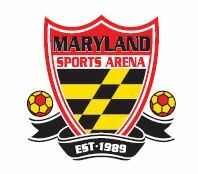 The Maryland Sports Arena is now accepting team registrations for our 30th season of indoor soccer. We are Maryland’s oldest privately owned indoor soccer facility and since our inception, 29 years ago, over 58,000 indoor soccer games have been played at our arena. We specialize in our passion…Soccer! Our indoor soccer game is structured to insure maximum participation, maximum touches on the ball, maximum playing time, maximum player safety and most importantly.....maximum FUN! Our goal is to offer competitive based leagues in all age groups focusing on good, clean competition. When you contact the Maryland Sports Arena, you deal with hands on owners who are high level soccer players. We answer your phone calls. We answer your emails. We deal with any issues. We are here to promote soccer and have done so since our inception. We’ll be glad to discuss your options and steer you to the correct division based on your level of play. We will place your team in leagues based on your skill level. For youth teams, we offer 2 sessions of play. First session will begin in mid to late November and second session will begin late January or early February (depending on the league, holidays, and first session weather cancellations). Both sessions will have approximately 170 teams registered to play. All games are streamed LIVE! The Maryland Sports Arena was selected by Live Barn to be it’s first indoor soccer facility for the streaming of indoor soccer games. (Live Barn has over 1,000 ice hockey facilities streaming live.) You can watch yours or your child’s game online at http://livebarn.com (Our promo discount code is msa1-2018) There is a small fee similar to netflix with no long term commitments and cancellation at any time! Analyze games, player skills or just sit back and enjoy the game on demand. It’s also a great way to watch a game live if you’re unable to attend. We are the only facility to offer livebarn in this area! We do not mandate teams play both sessions! Our adult divisions play year round. We offer men’s, men’s over 30, coed, over 30 coed and woman’s divisions. For men’s info please visit http://marylandsportsarena.com/mens.htm and for women and coed info please visit http://marylandsportsarena.com/coed.htm . We didn’t forget the boards and tempered glass. We are Maryland’s oldest total indoor soccer facility. We feature this area’s top indoor field (with professional rubber infill turf), completely enclosed with dasher boards and tempered glass (8 feet high, clear to the floor on the side and 12 feet high behind the goals.) Our field measures approximately 160 feet by 90 feet. Our ceilings are open and have a peak height of 40 feet. Spectators have an unobstructed view of the game through clean, unscratched tempered glass. We have LED lighting which provides an outdoor “sunny day” light. The greater brightness improves the game for both players and spectators. We are the only facility in this area with this type of lighting. Our heating system consists of both radiant heating over the spectator area as well as large heat blowing units to keep spectators warm during the winter. We offer the professional version of indoor soccer. Our indoor play is quicker (than non boarded fields and futsal) and offers substantially more touches on the ball to players. Enclosed fields are an advantage, not a disadvantage to players. Players receive substantially more playing time due to the ball remaining in bounds. We play with regulation soccer balls, not weighted balls that are a negative influence for players. Here’s what the Baltimore Sun reported about us! If you have any questions or an interest in our leagues, please email us or call us at 410.538.7300. Thank you for visiting our website and your support of soccer!